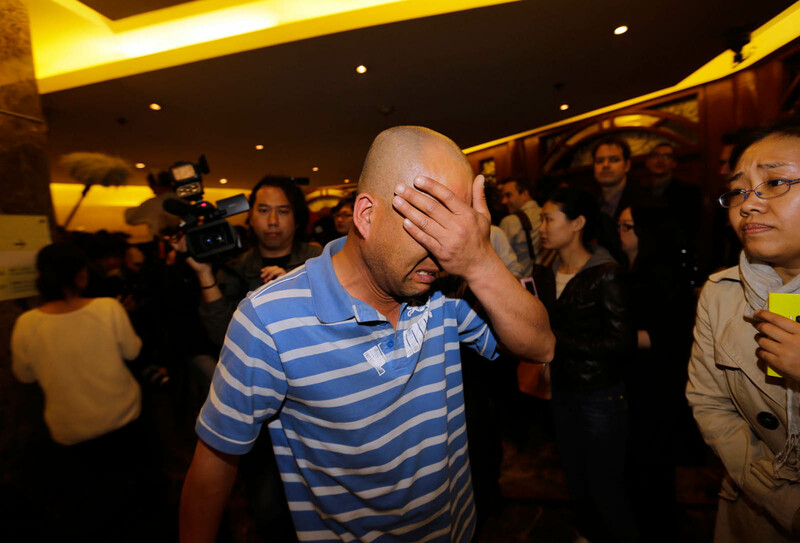 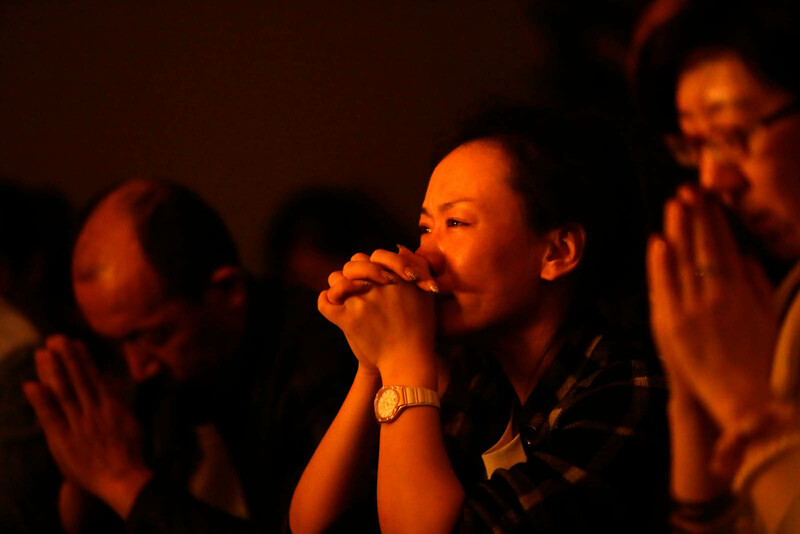 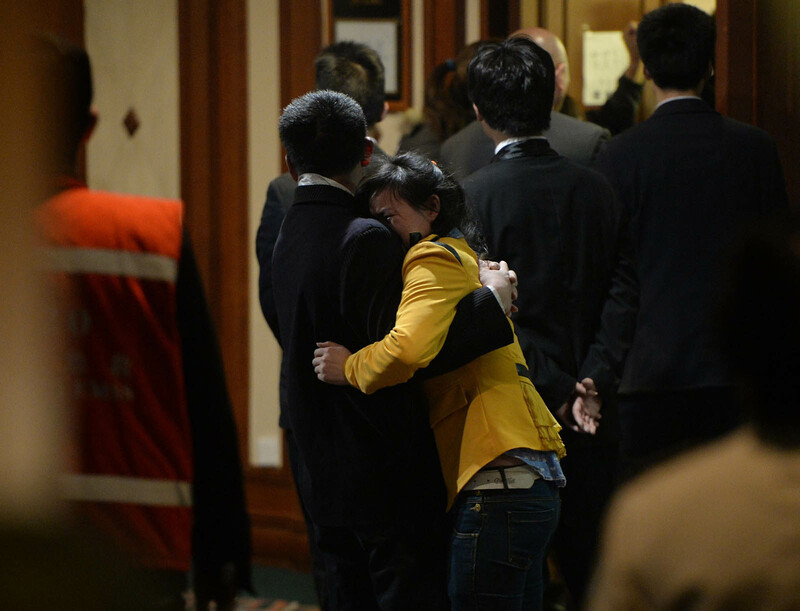 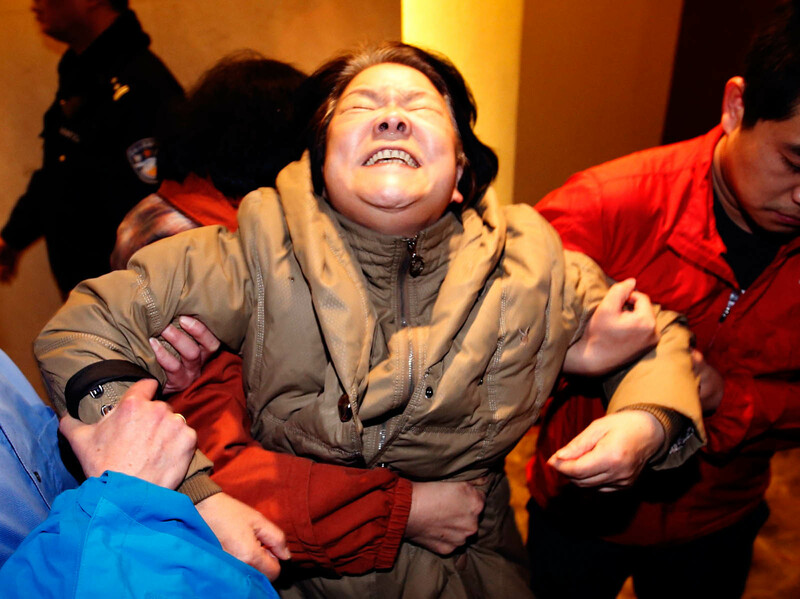 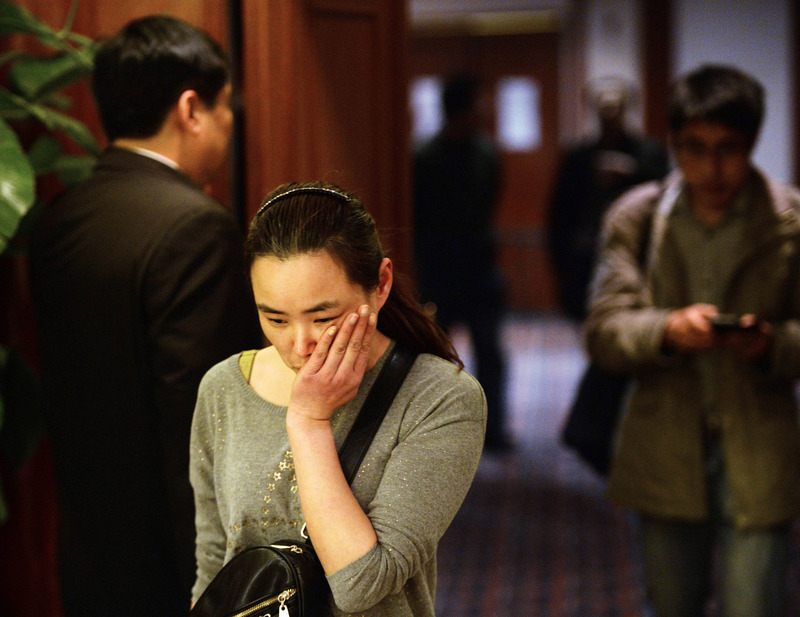 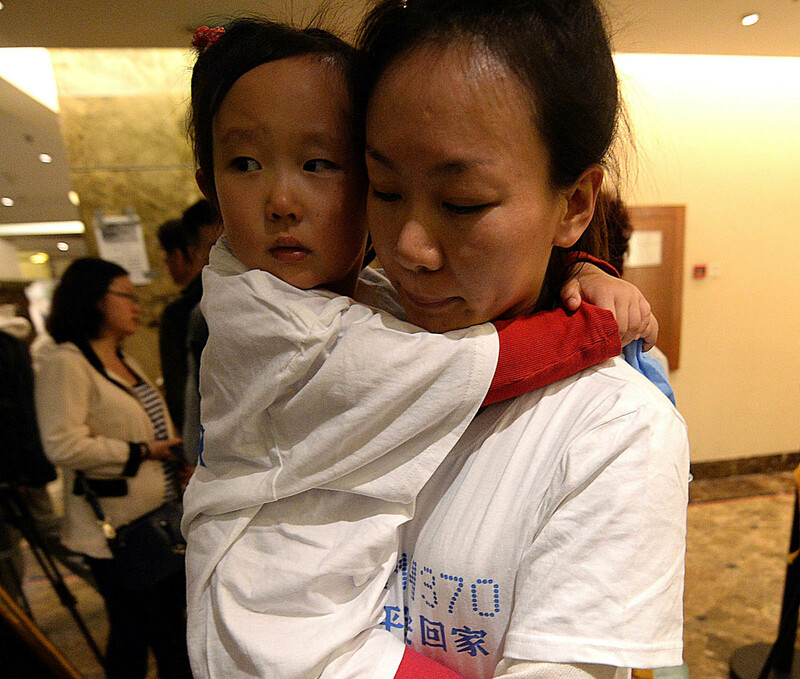 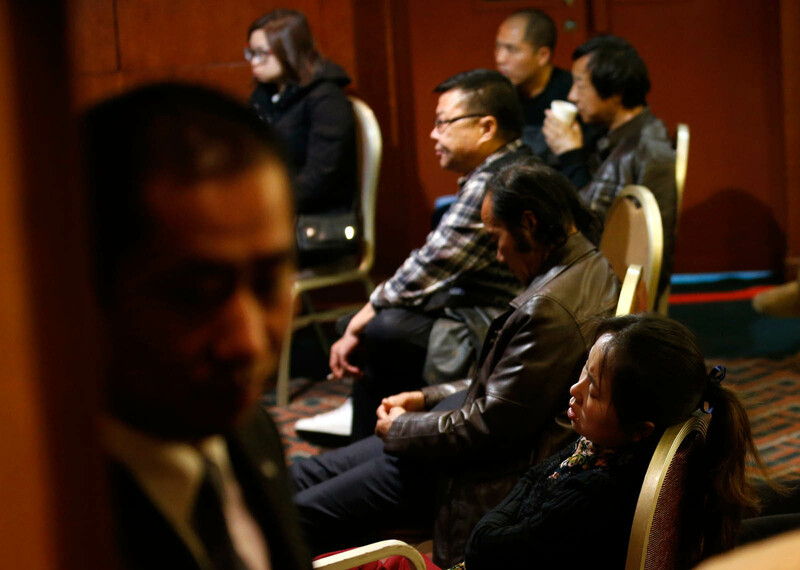 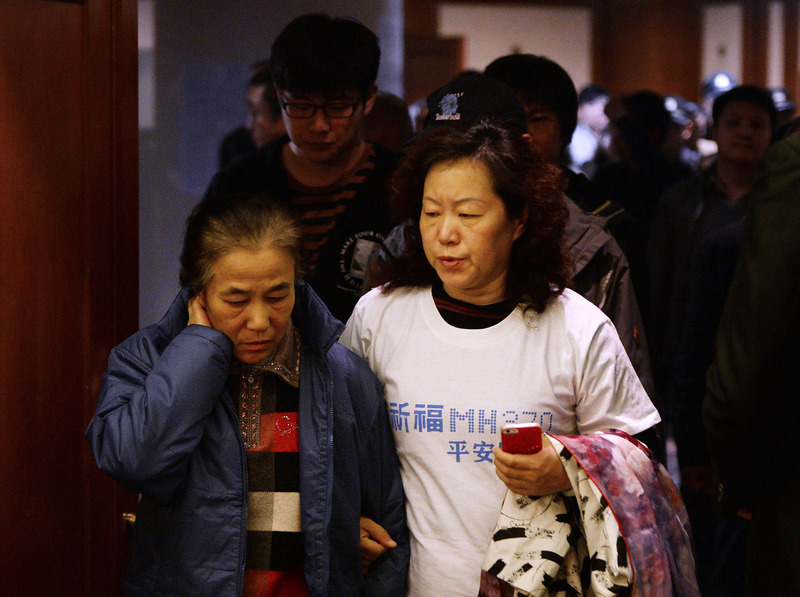 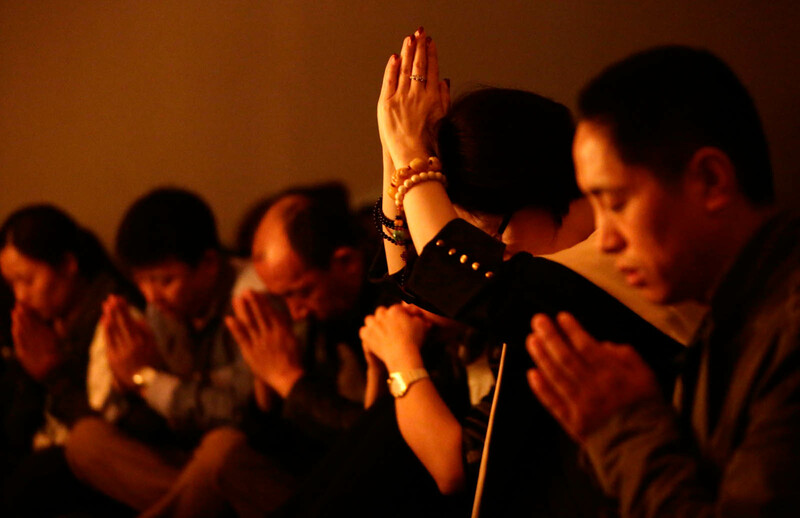 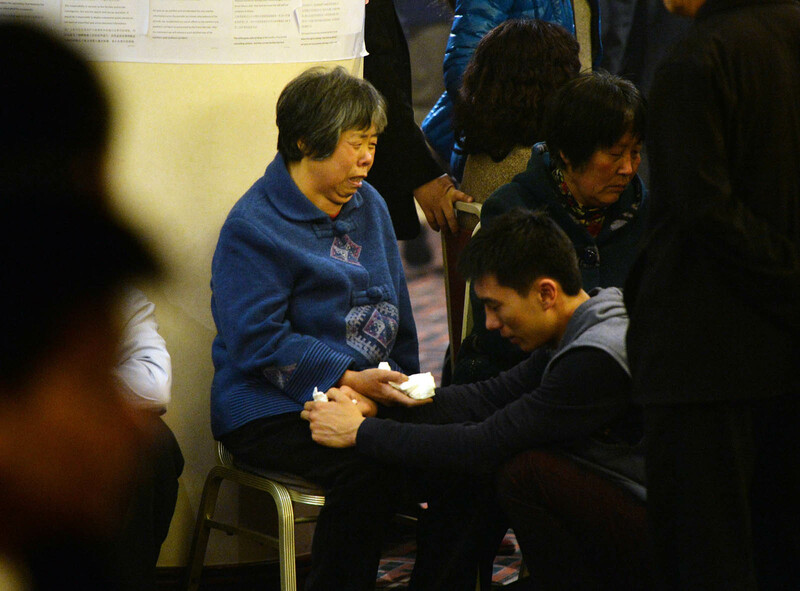 BEIJING - Malaysia Airlines on Thursday advised relatives of passengers on missing flight MH370 to leave the hotels where they have been staying and receive updates "within the comfort of their own homes, with the support and care of their families and friends". 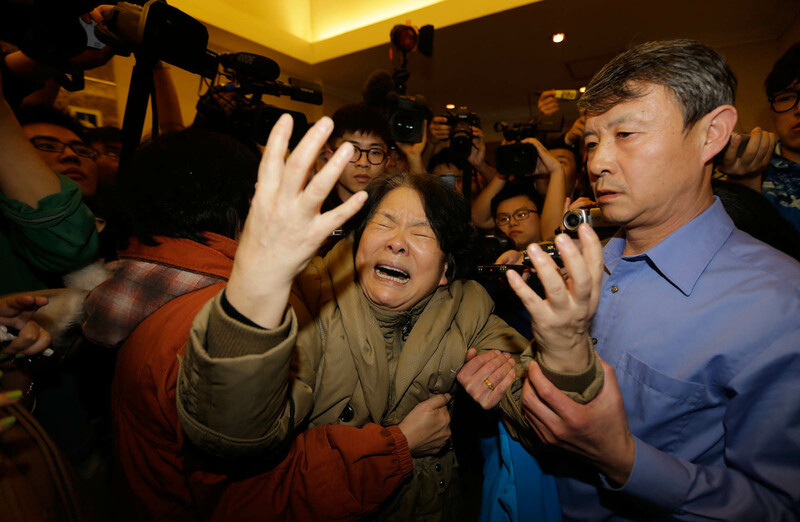 The company said that the investigation and the search for the plane - which has been missing for 55 days -would be a prolonged process. 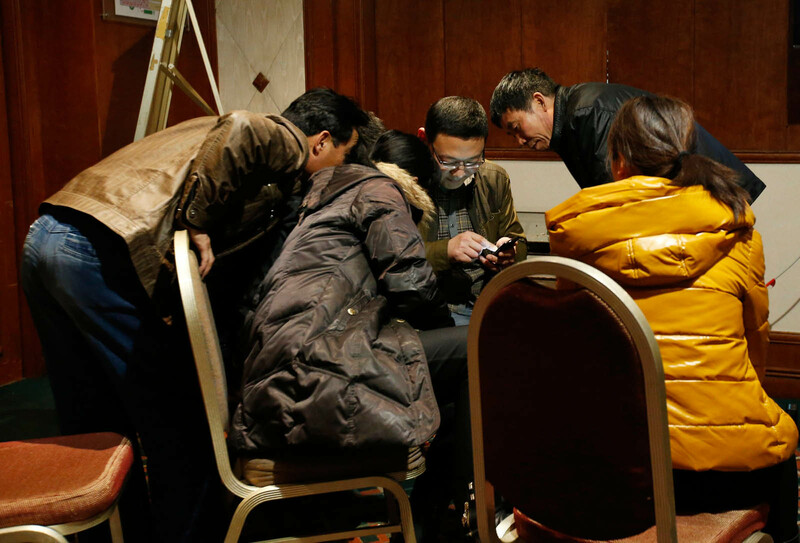 The relatives have been receiving updates in hotels since the plane disappeared, but the company announced it would close all of the Family Assistance Centers around the world by May 7. 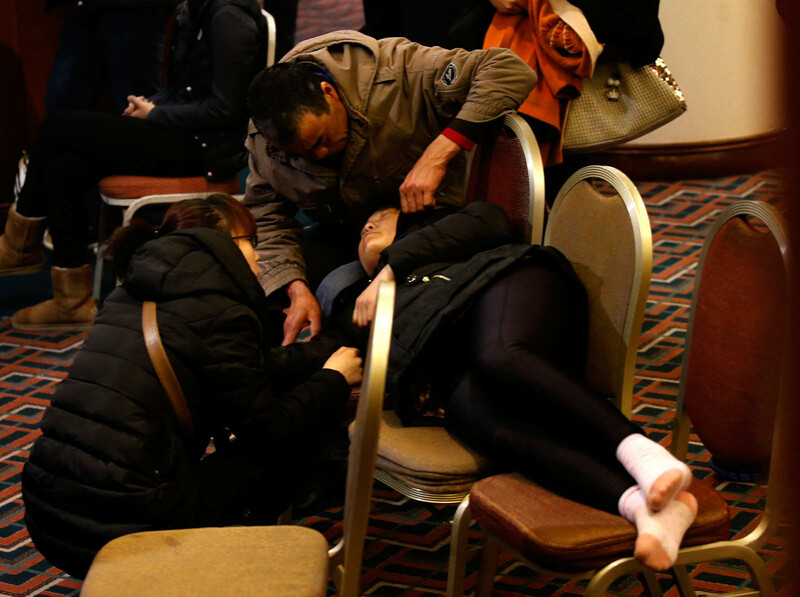 "Malaysia Airlines will keep in close touch with the families on news updates through telephone calls, messages, the Internet and face-to-face meetings," the company said in a statement released on its website on Thursday evening. 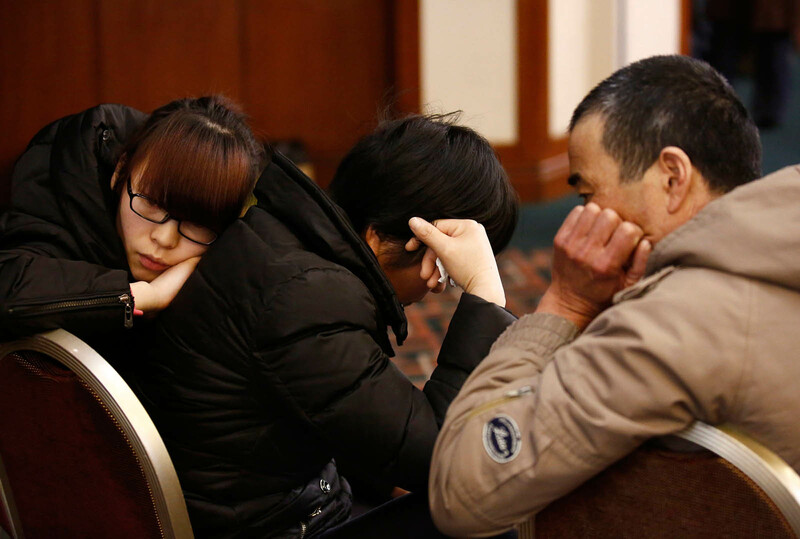 There was still no trace of the missing flight, and the fate of the missing passengers and crew remains unknown, said the statement. 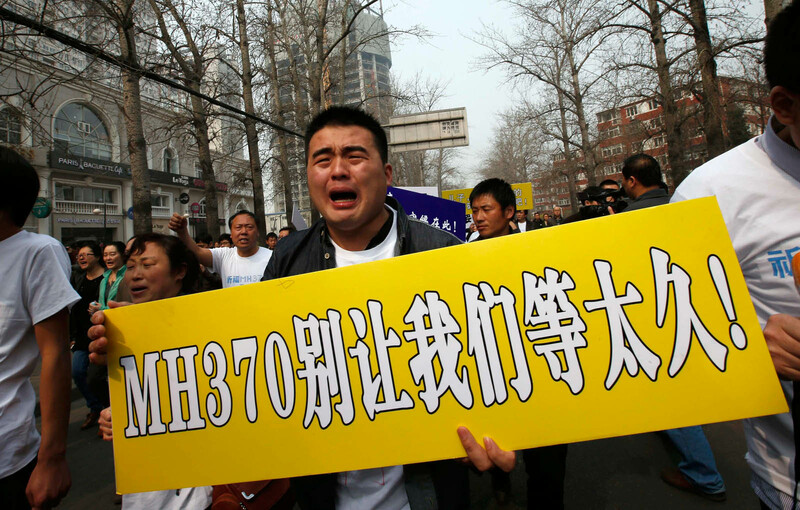 The Boeing 777-200ER, with 239 passengers and crew on board, disappeared en route from Kuala Lumpur to Beijing on March 8. 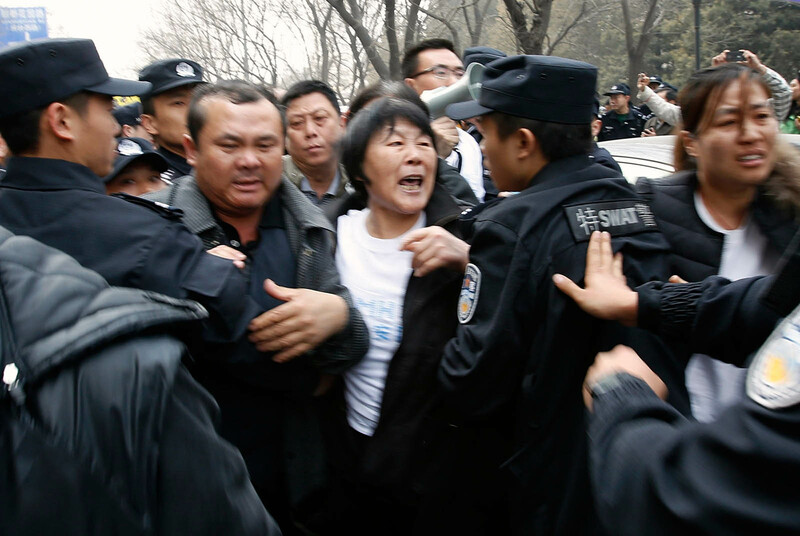 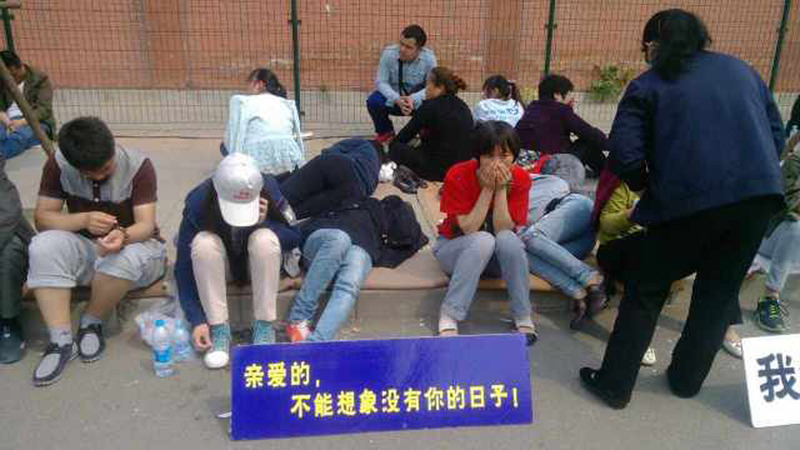 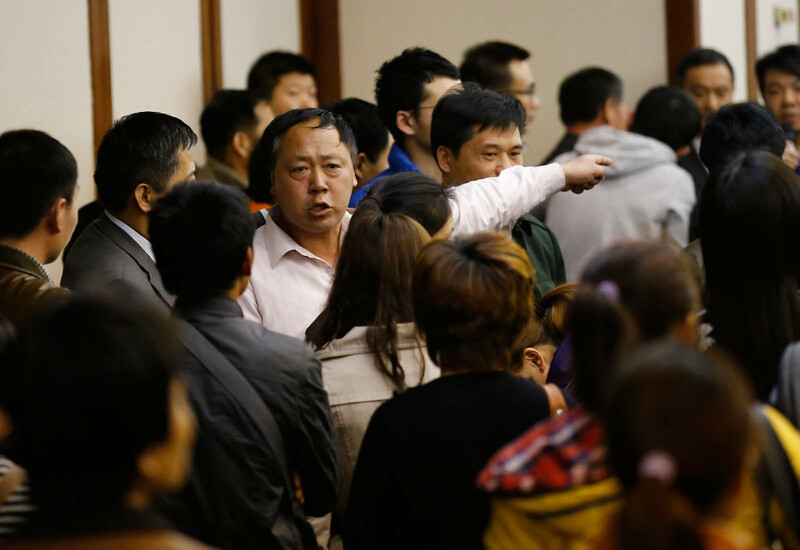 The company promised to make "advance compensation payments" to the relatives as soon as possible. 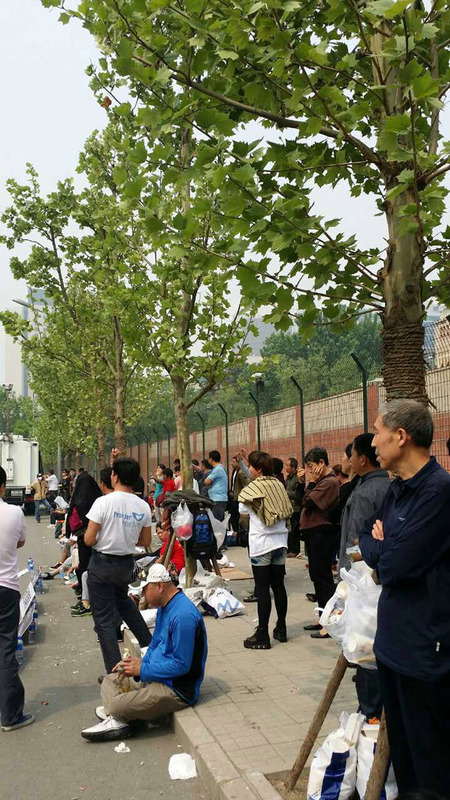 The advance payments will not affect the rights of the relatives to claim compensation later, and will be calculated as part of any final compensation. 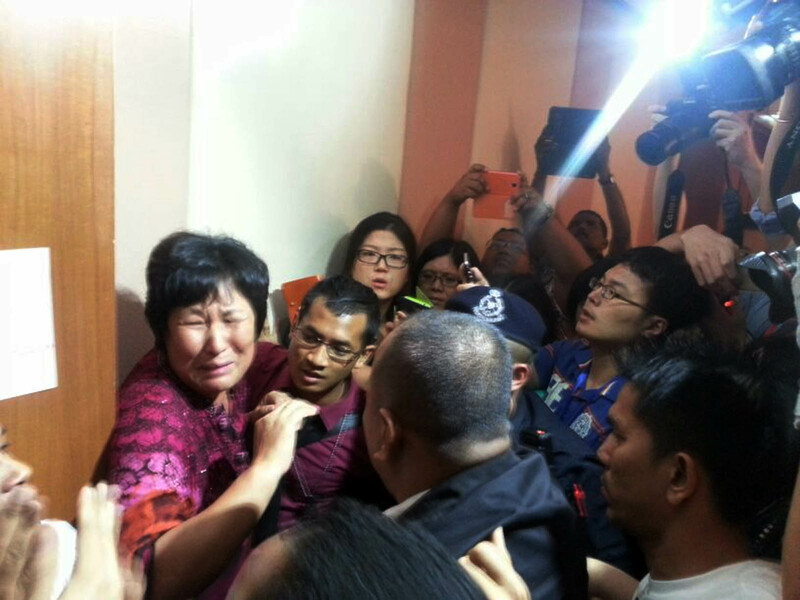 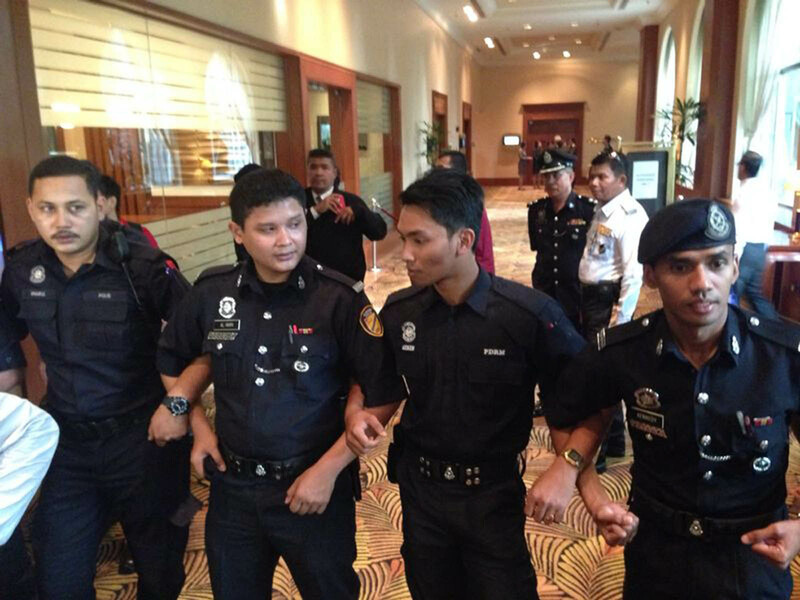 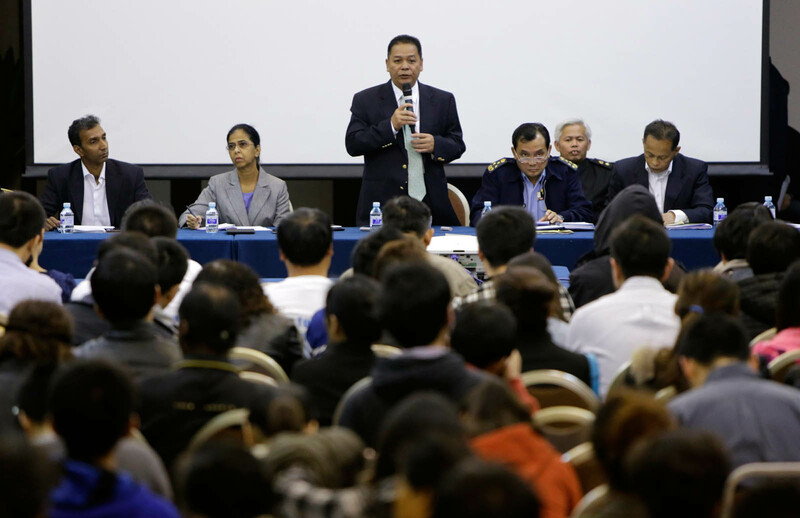 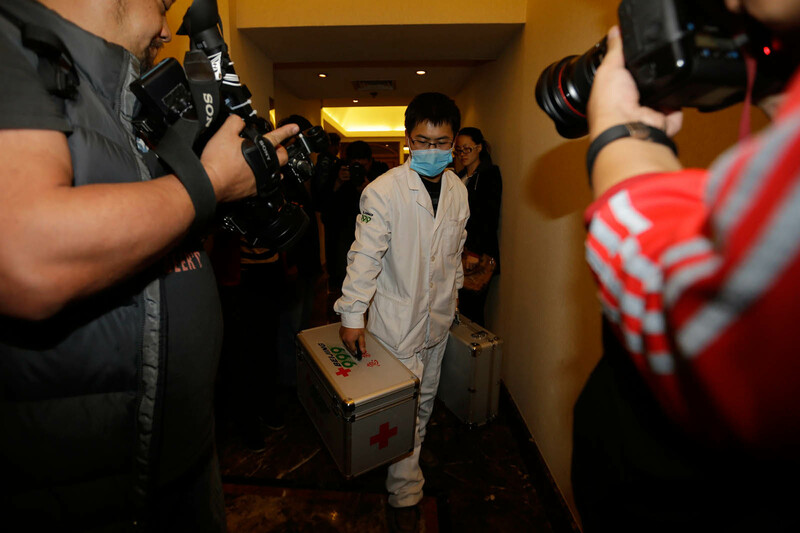 A Malaysian trans-ministerial group including the country's transport, foreign affairs and civil aviation authorities, briefed the relatives at the Metropark Lido Hotel in Beijing on Thursday. 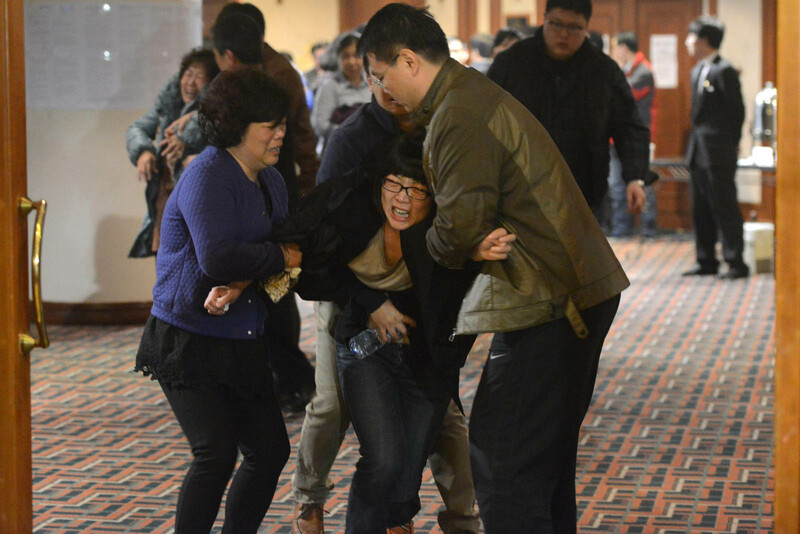 A representative of the families who attended the briefing said that it is difficult to persuade all of the relatives to leave the hotels. 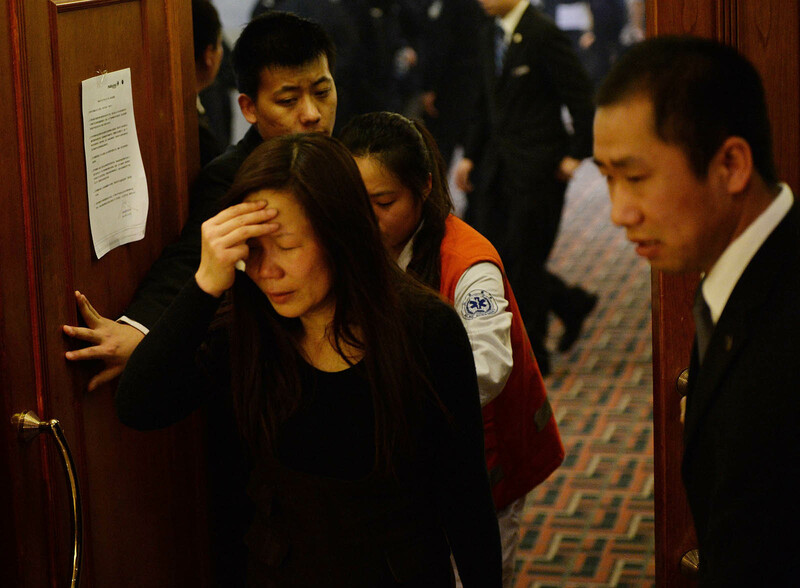 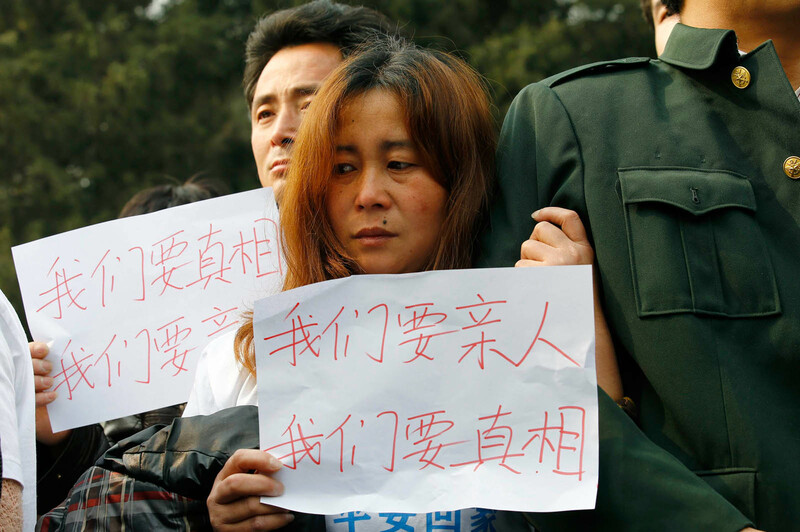 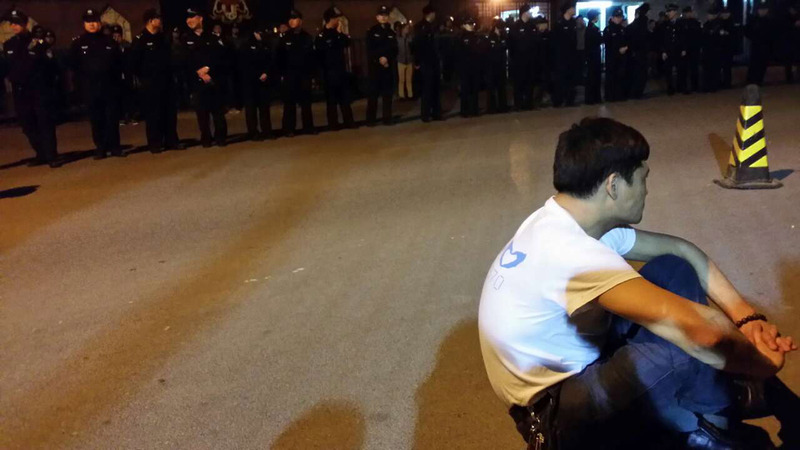 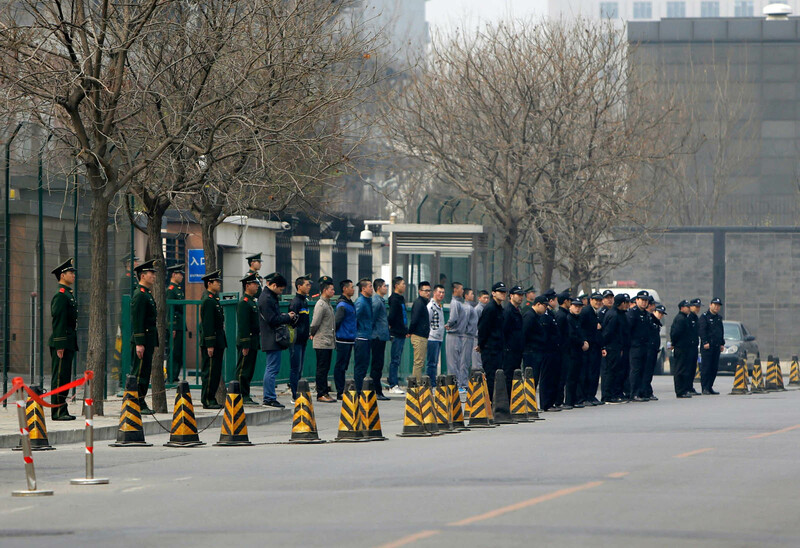 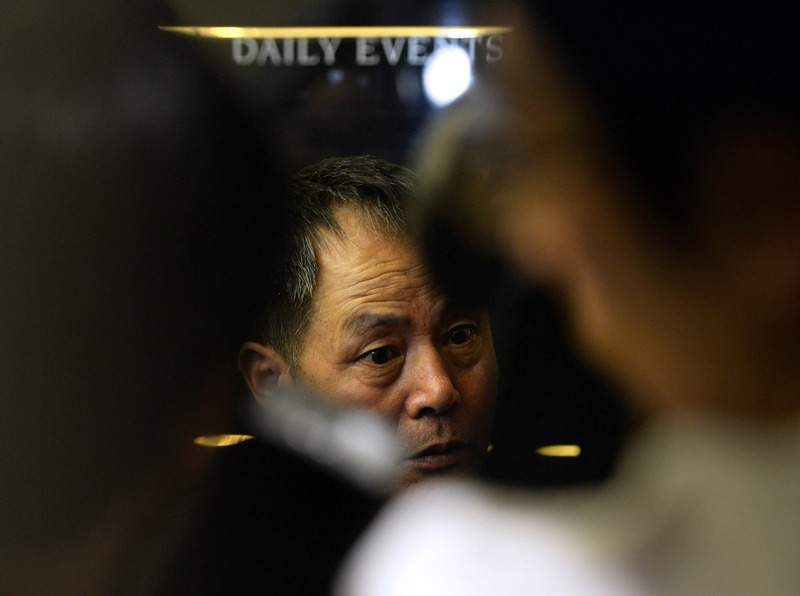 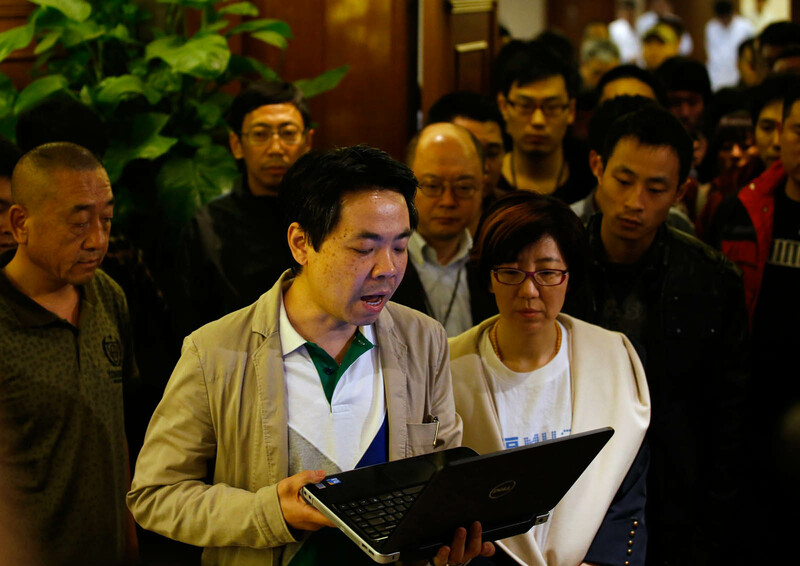 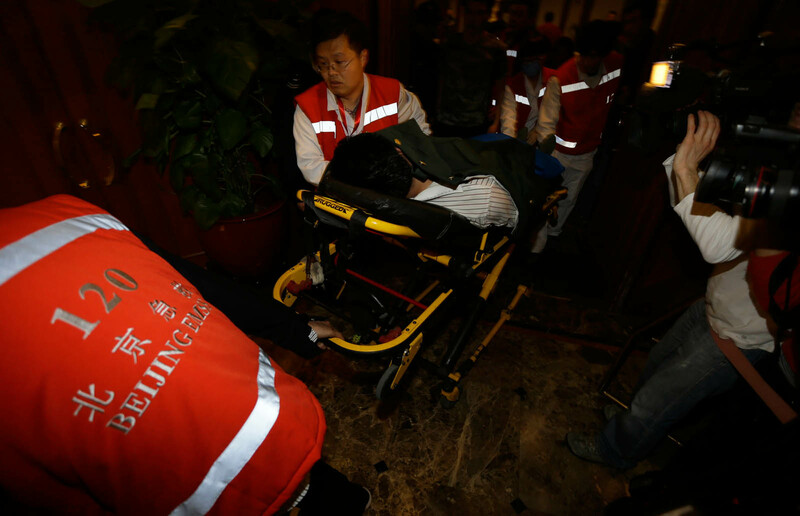 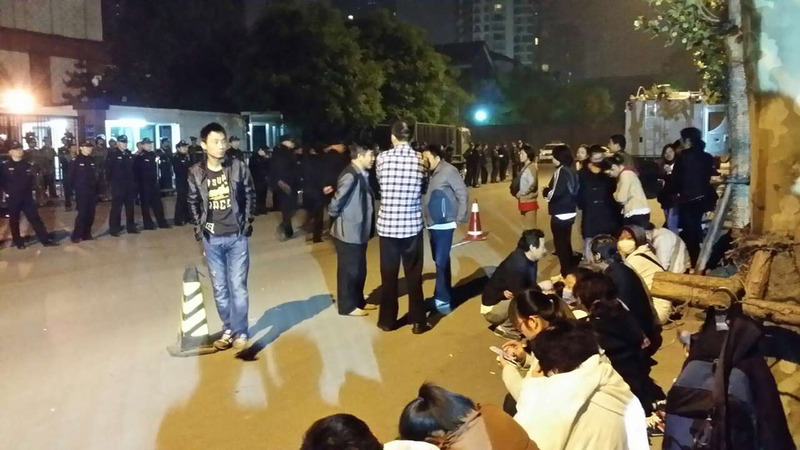 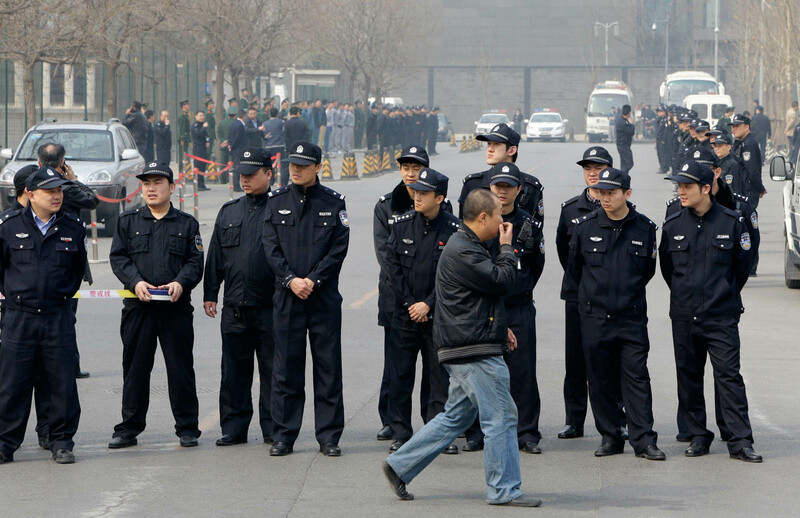 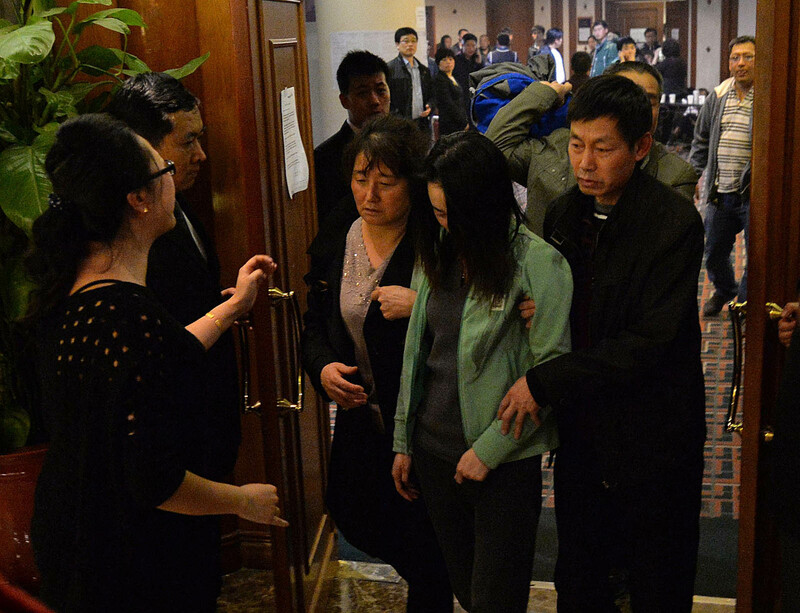 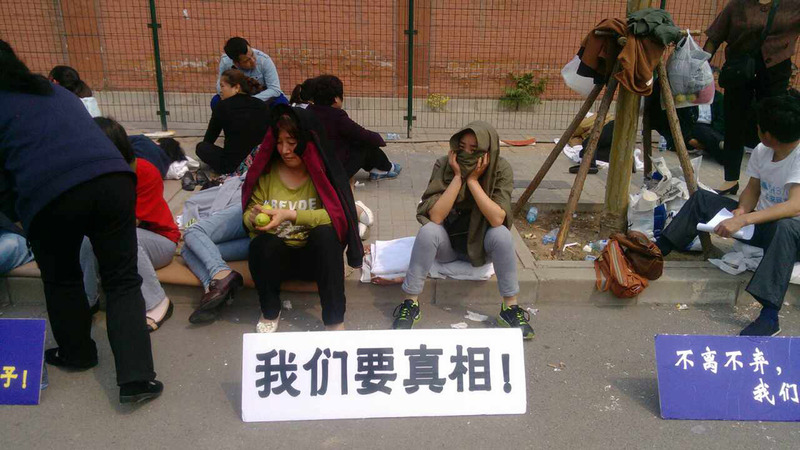 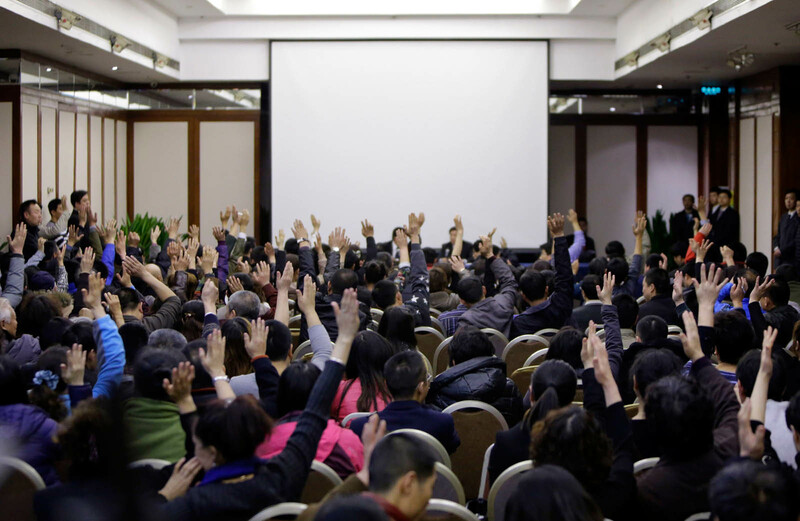 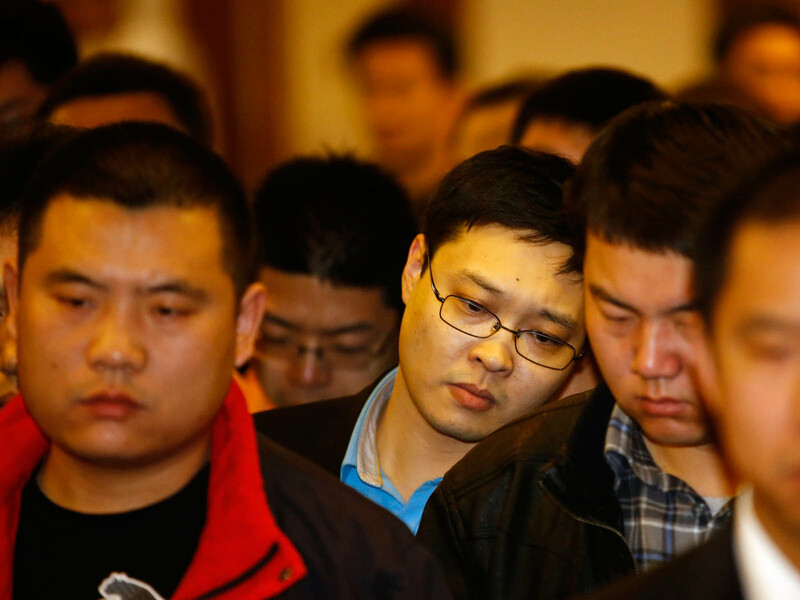 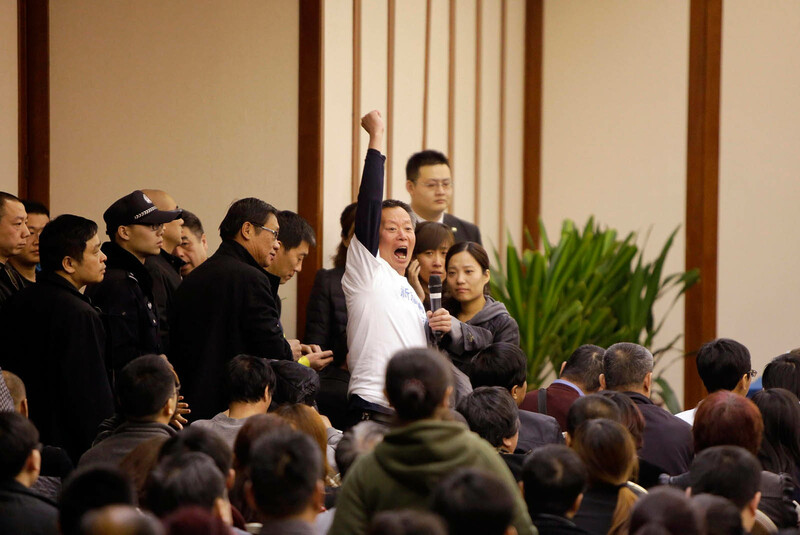 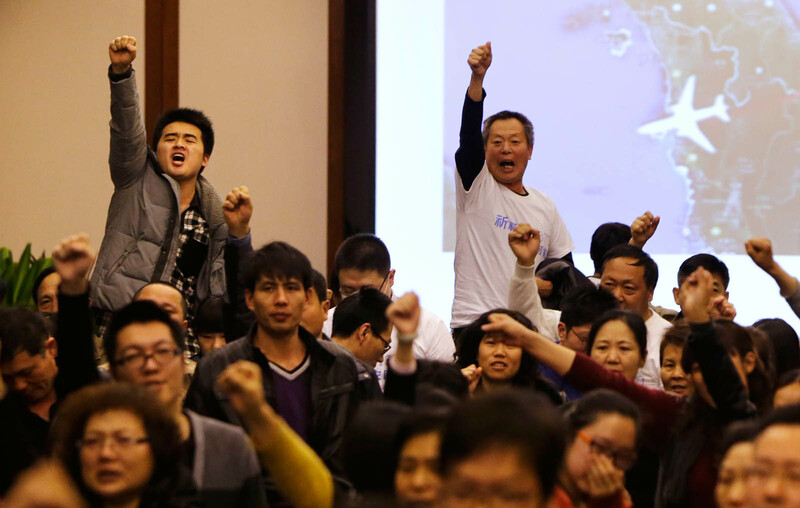 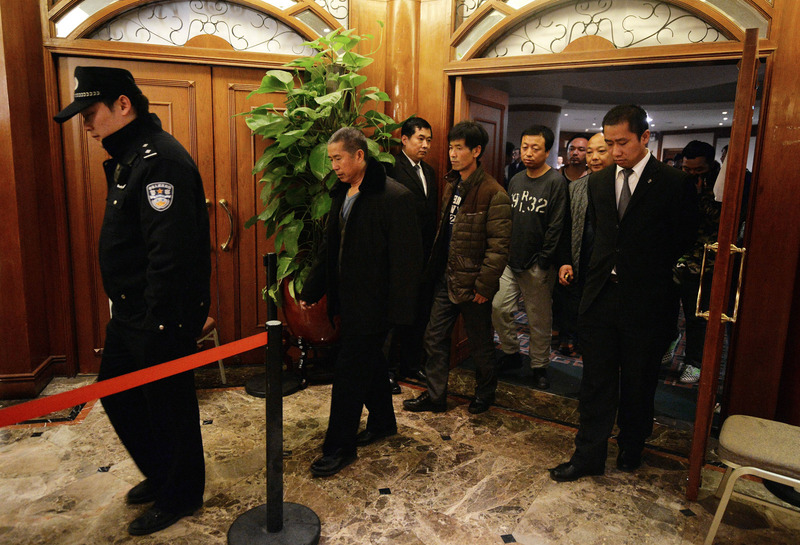 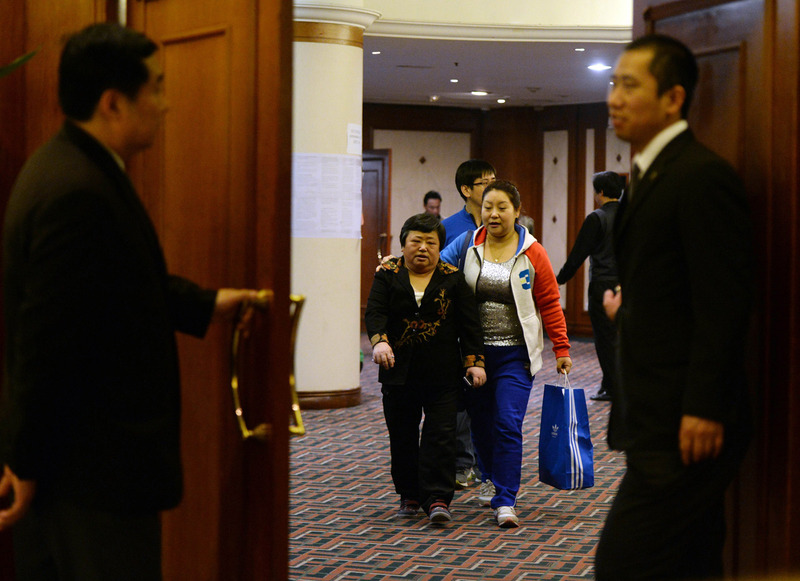 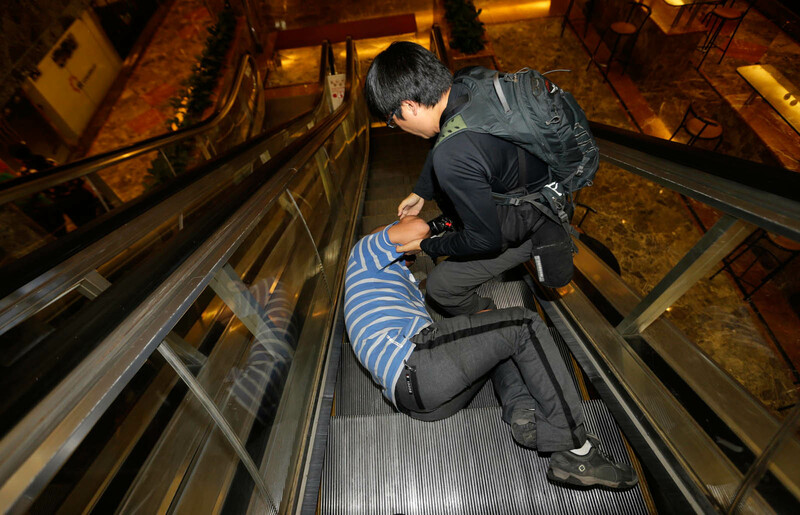 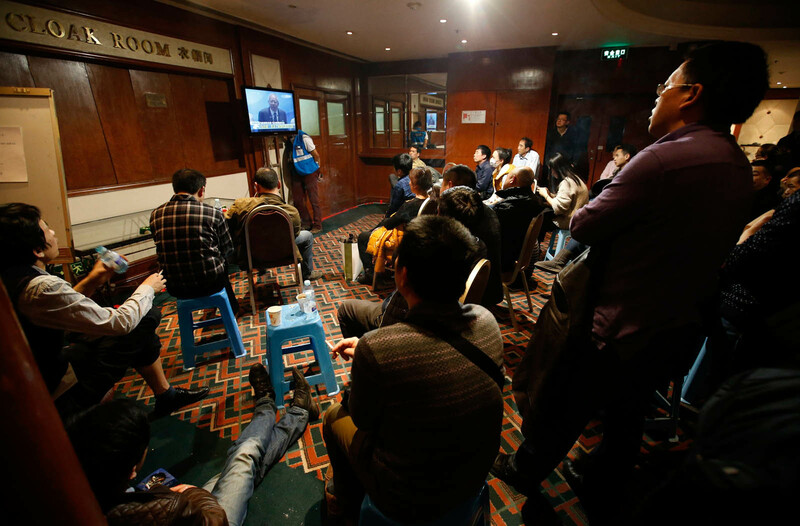 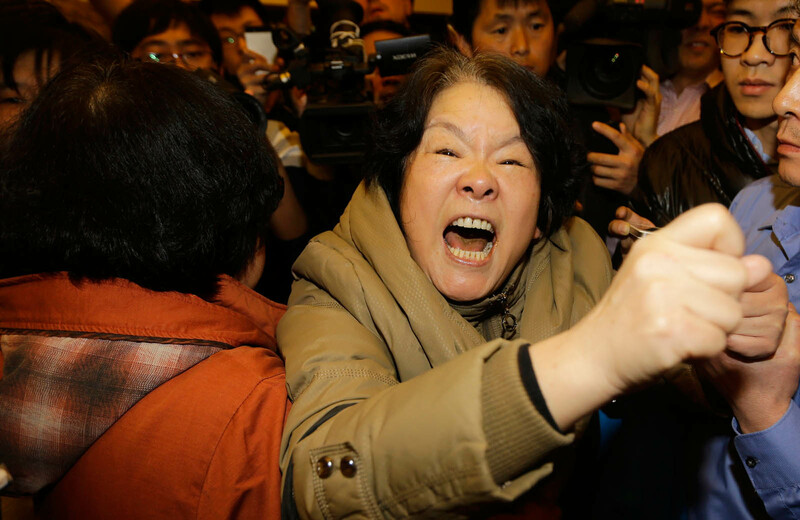 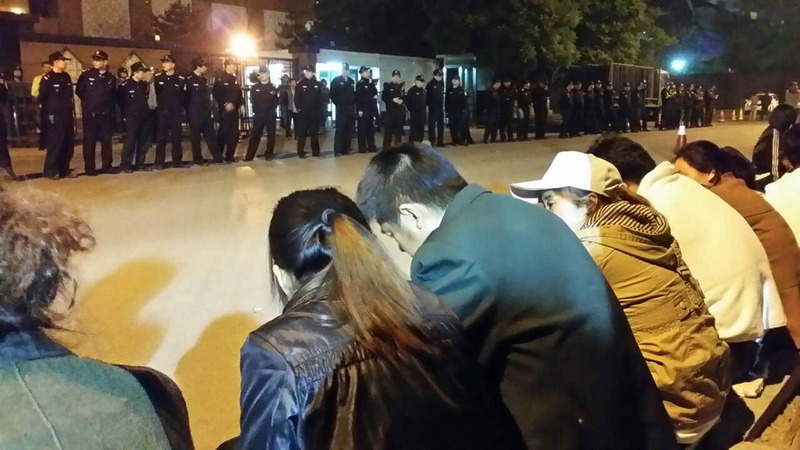 There were about 500 to 600 family members staying in the hotel in Beijing, and they are unlikely to leave without sufficient communication, said the representative who only gave his surname, Jiang. 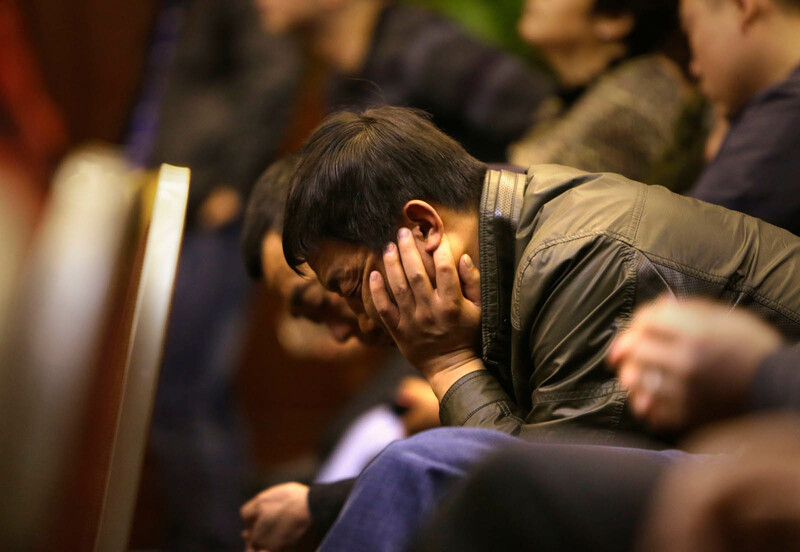 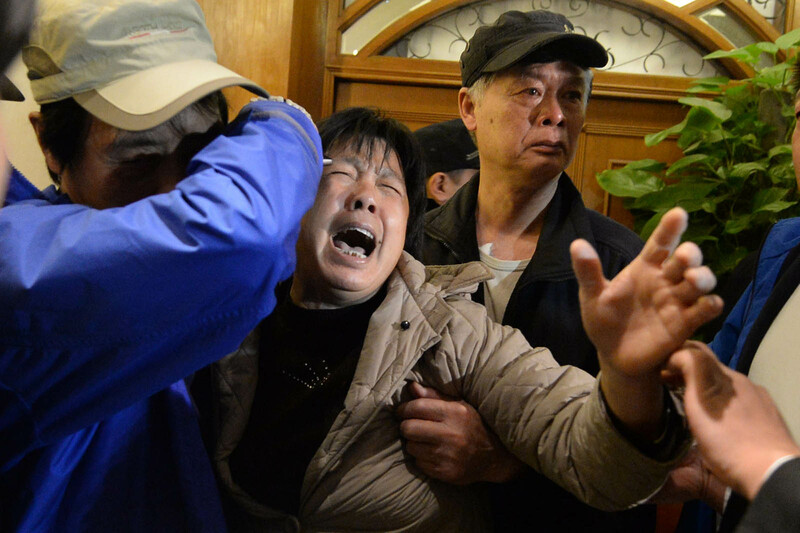 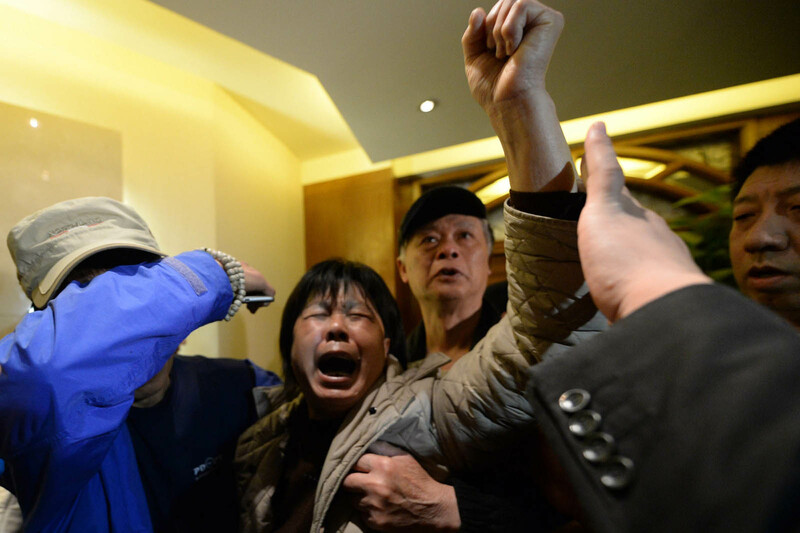 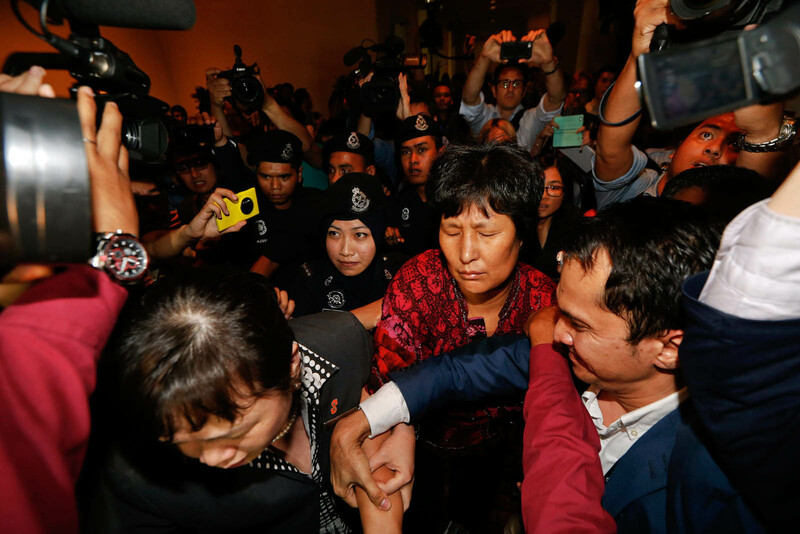 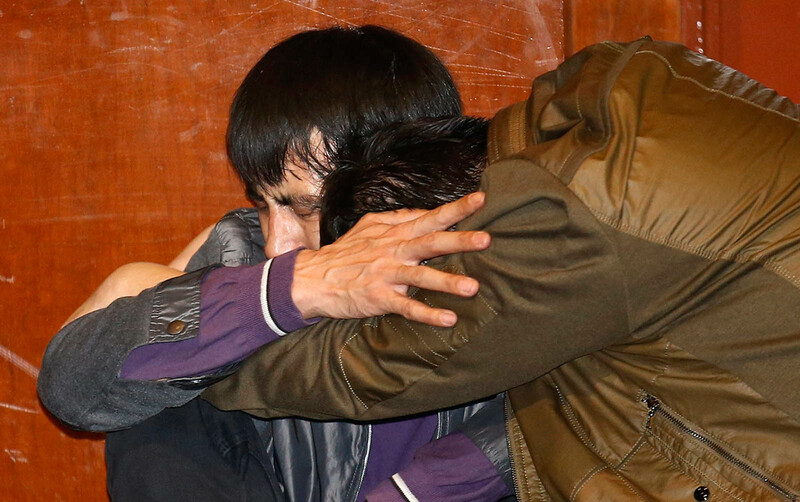 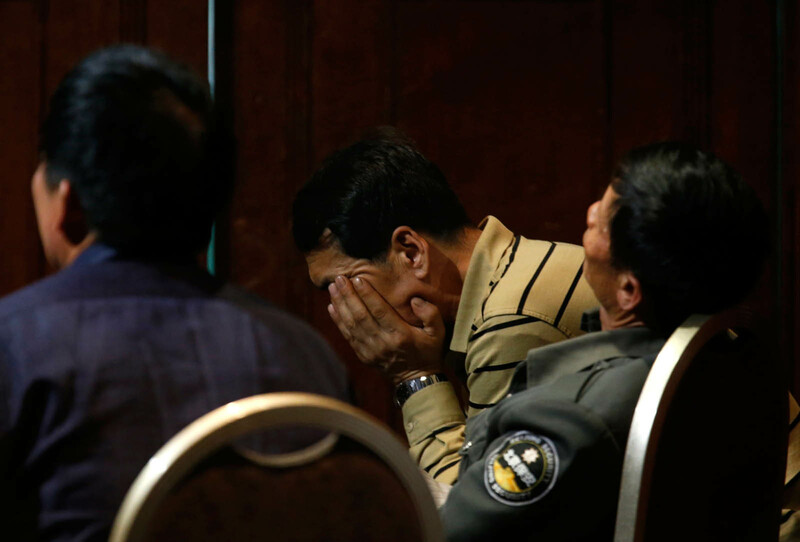 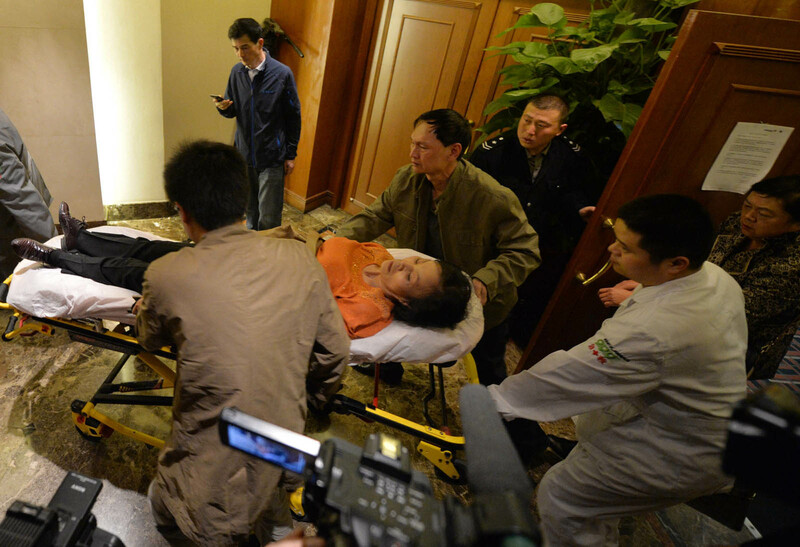 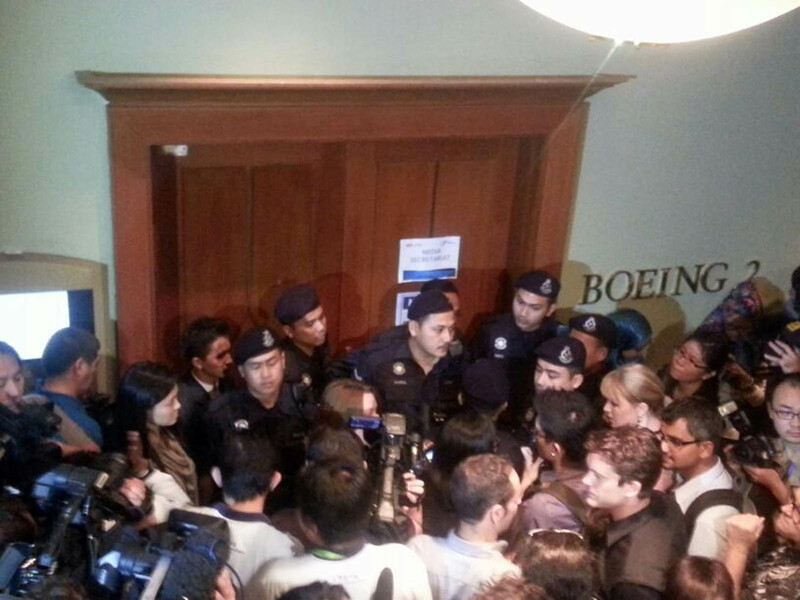 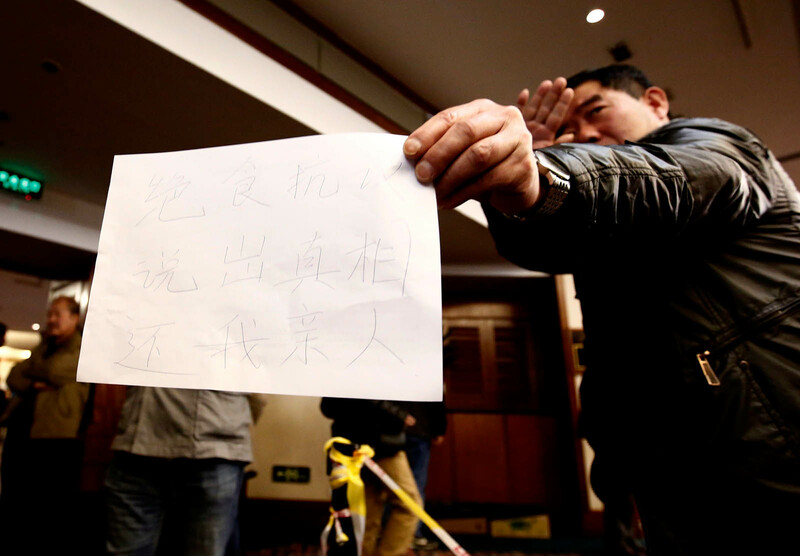 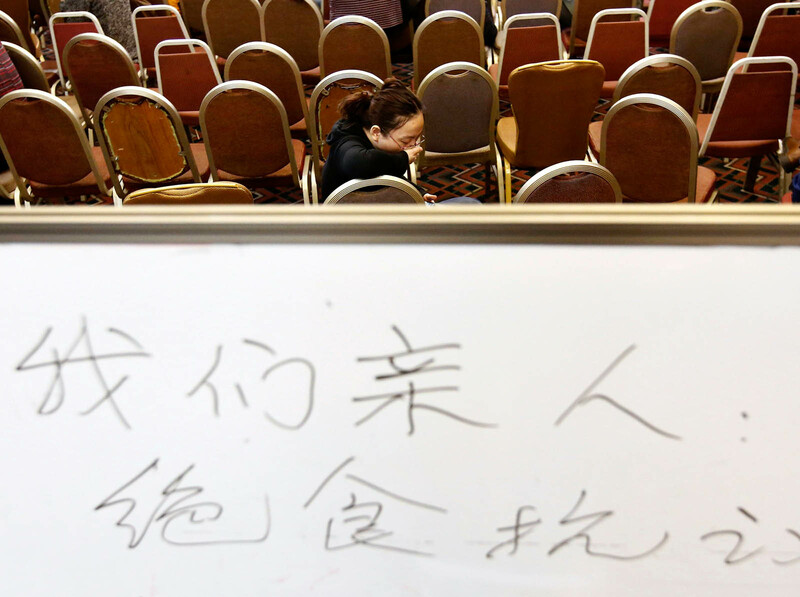 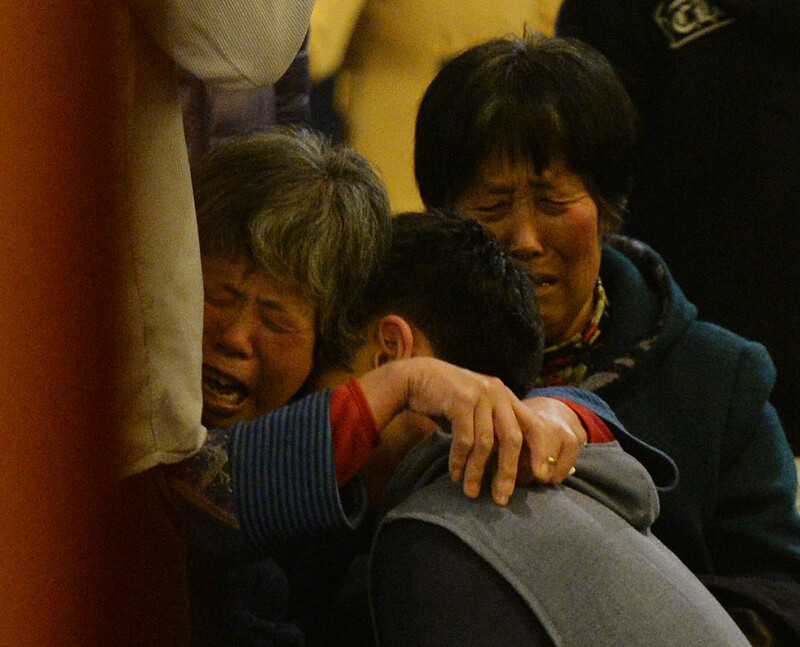 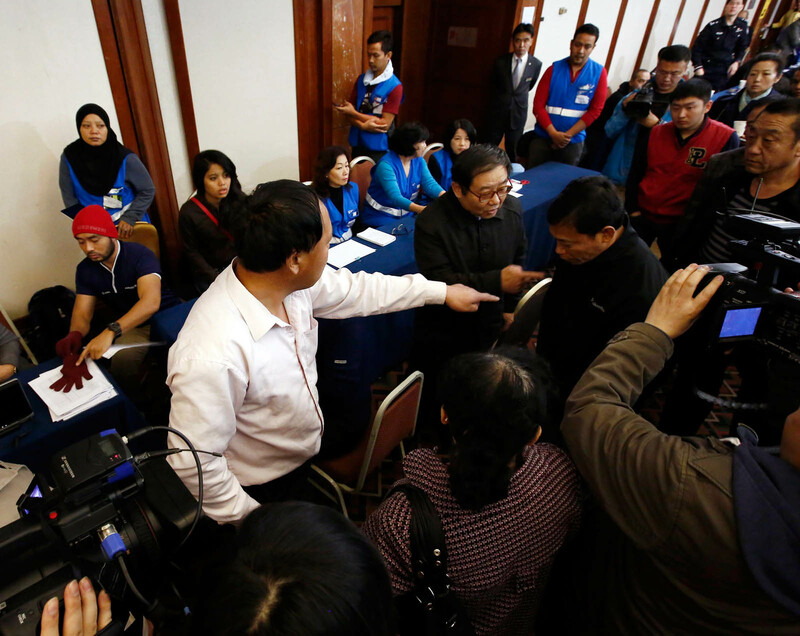 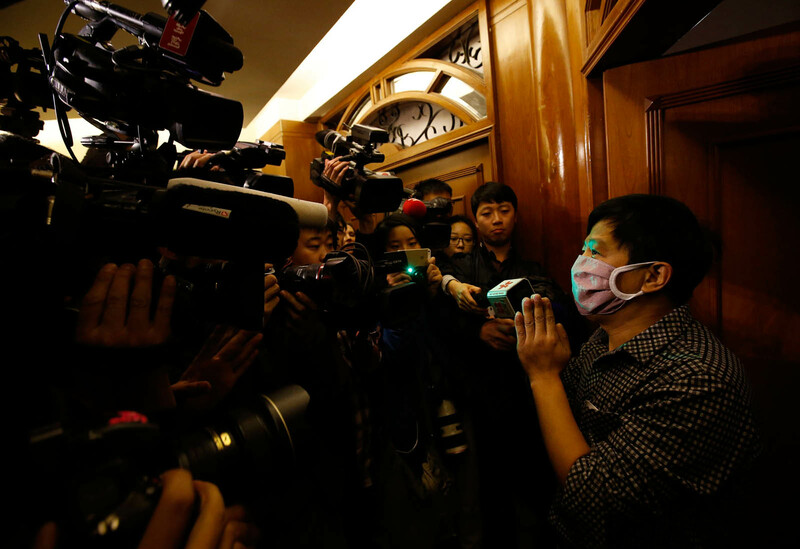 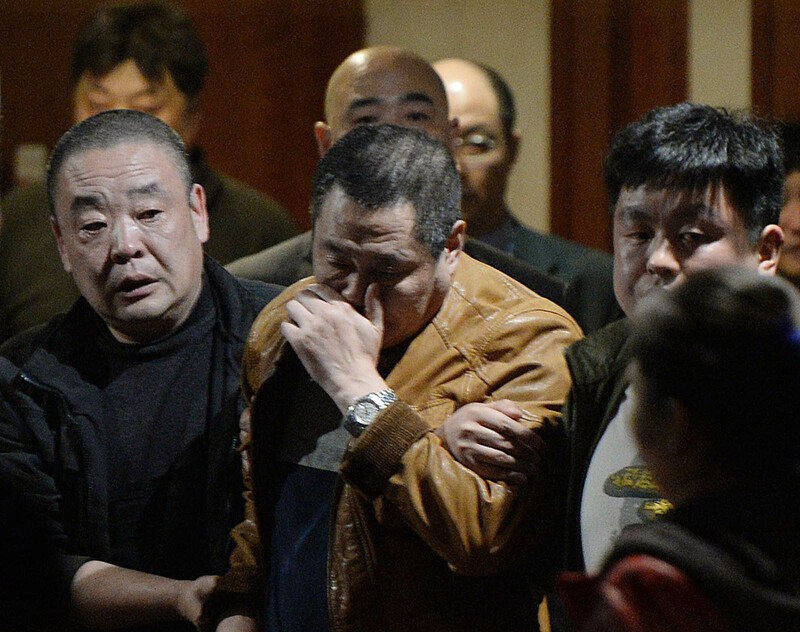 A family member surnamed Li said that he doubted whether Malaysia Airlines could provide timely information after the relatives leave the hotels. 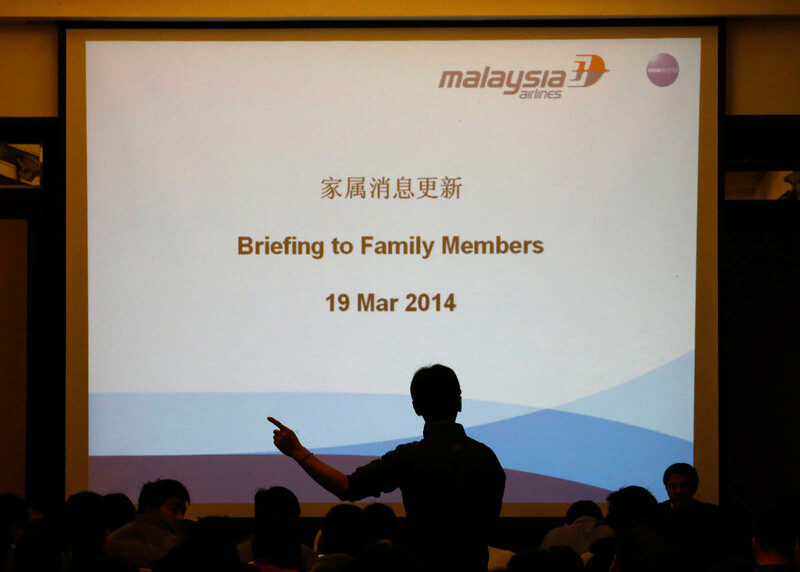 Many of the relatives are not satisfied with the communication from Malaysia Airlines, said Li, whose cousin was a passenger on the flight. 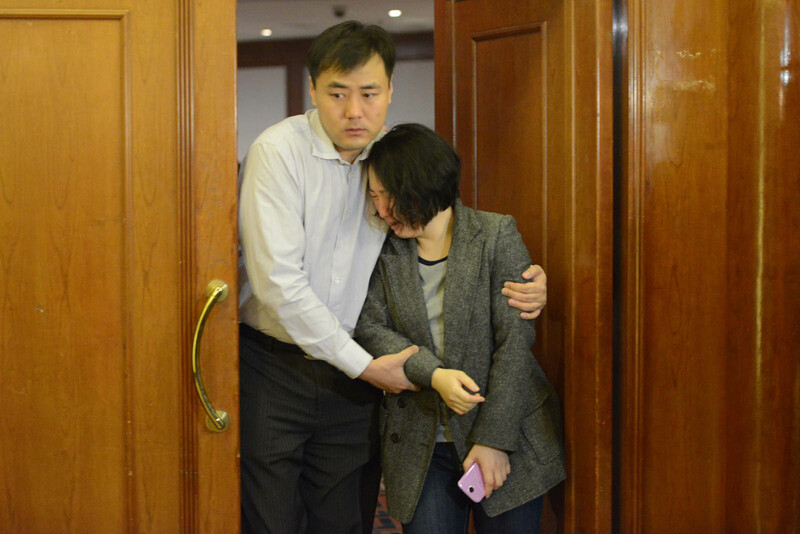 Another man, whose wife was on board, said that he did not know what to do next except wait. 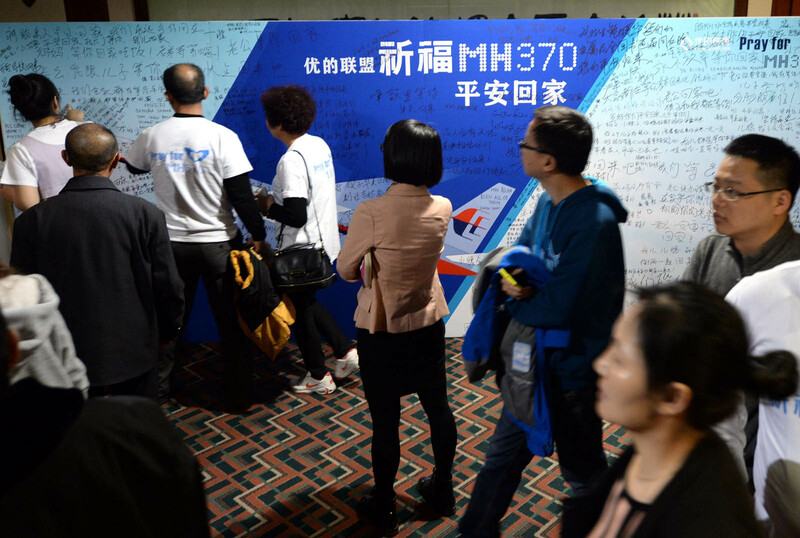 Also on Thursday, the Malaysian government published a five-page preliminary report, which it had sent earlier to the International Civil Aviation Organisation, the UN agency that governs global aviation. 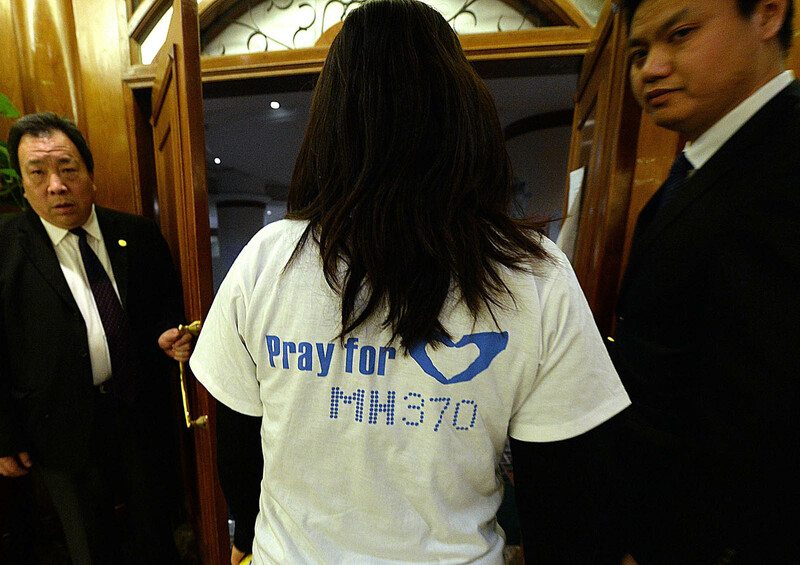 In the report, the Malaysian Transport Ministry suggested that the organisation should examine the safety benefits of introducing a standard for real-time tracking of commercial aircraft. 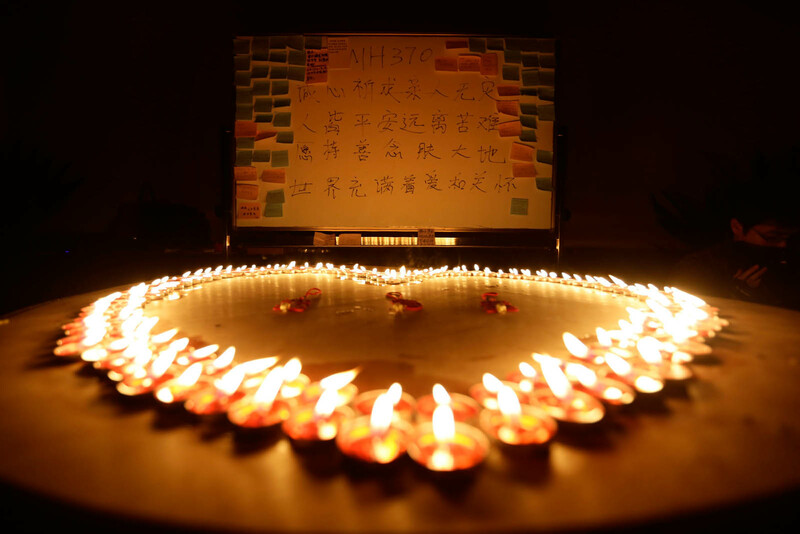 "There have now been two occasions during the last five years when large commercial aircraft have gone missing and their last position was not accurately known. 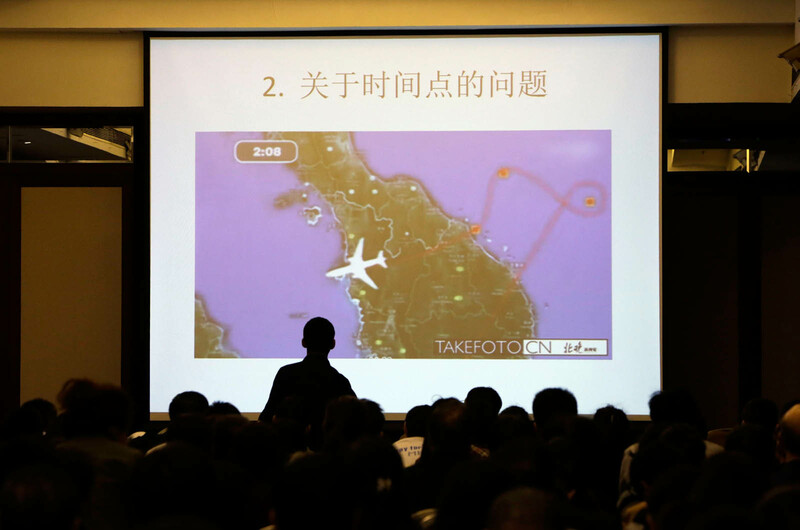 This uncertainty resulted in significant difficulty in locating the aircraft in a timely manner," said the report. 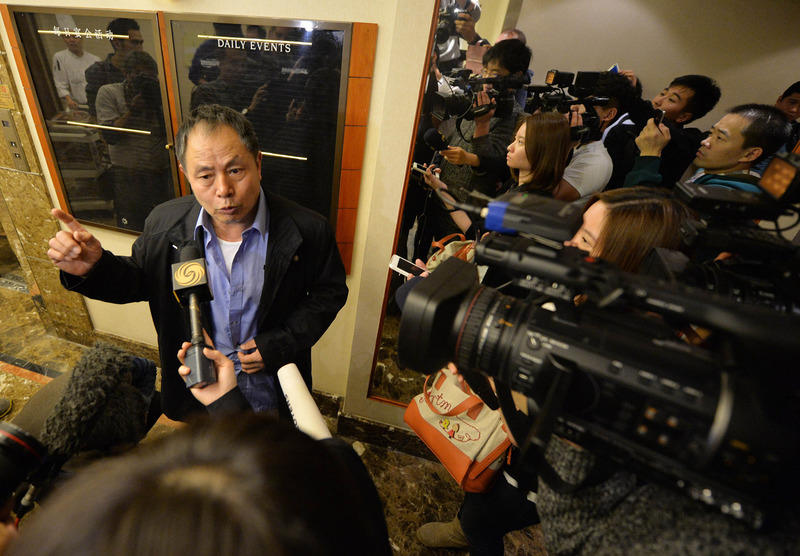 Agencies and Hou Liqiang contributed to this story.